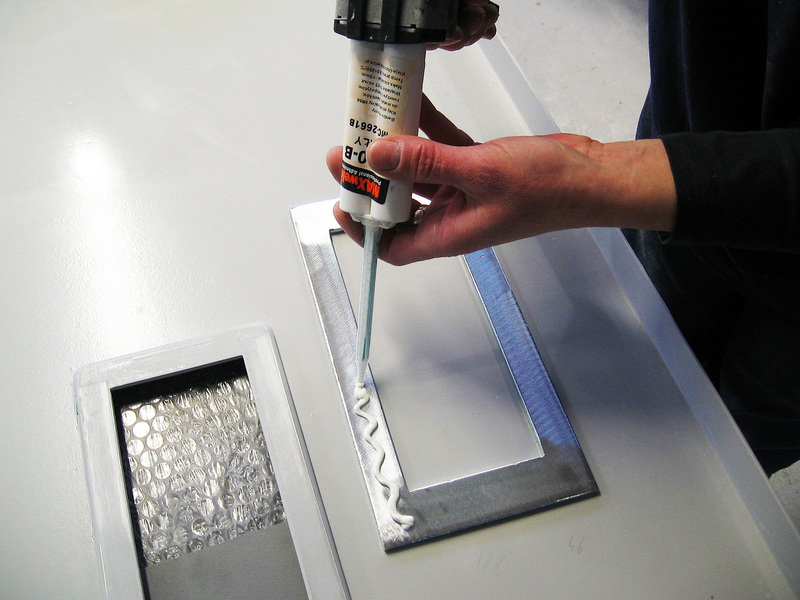 MAXWELD® strukctural adhesives is a full range of high performance two parts methacrylate adhesives for bonding metals, plastics, composites without rivets, welding, screws and laminating. MAXWELD® Methyl Methacrylate Adhesives are commonly used as structural adhesives due to their excellent strength, impact resistance, thermal shock, fatigue resistance, peel strength and chemical resistance. Following is the list of standard grades and packaging available and we also custom formulations and packaging based on customer requirement. MAXWELD® MMAs` can withstand paint bake cycles, including powder coating and electron coating, at typically 230°C for up to 45 minutes with no loss of strength. The differences in viscosity, pot life and cure times enables manufacturers to choose the optimal solution that best suit their production processes. Structural Adhesive primerless bond system for metal composite and thermoplastic subtrates. 5-7 Minute Open time, 12-15 minute handling strength, Non Slump 1:1 Structural (Standard/Black). Excellent on steel, stainless steel, Aluminium, galvanized steel and all composites. Fast setting structural adhesive, low viscosity for a very wide range of substrates: metals, plstics, composites, glas, wood. Transparent on glass-metal bond. Mix or no-mix applications. High performance, General purpose, Structural Adhesive to bond metal composite and thermoplastic subtrates. 4-6 Minute Open time Non Slump 1:1 Structural (Standard/Black). Complies with EN45 545 and Cataplasma test DVS 1618 in Rail manufacturing process. General purpose, Structural Adhesive to bond metal composite and thermoplastic subtrates. 14-16 Minute Open time Non Slump 1:1 Structural (Standard/Black). Complies with EN45 545 and Cataplasma test DVS 1618 in Rail manufacturing process. Fast Curing Automotive Grade. 3-4 min open time 6-8 min cure high strength non slump 1:1 structural adhesive (Standard/Black). Complies with EN45 545 and Cataplasma test DVS 1618 in Rail manufacturing process. All purpose adhesive with high toughness and long open time. UV stable, Ultra white adhesive to bond variety of plastics, cellular PVC, composites and metals. Excellent water resistance properties for MARINE applications. UV stable, Ultra white adhesive to bond variety of plastics, composites and metals. All purpose adhesive with extra long open time 120-130 min. High viscosity MARINE adhesive with long open time 70-75 min. Long open time 95 min. high viscosity MARINE adhesive for extra large components and large gaps. Clear adhesive for clear bonding plastics, acrylics, Plexi PMMA, Polycarbonate, PET, ABS metals with medium cure speed, 12-16 open time. Widely used for sign, display, electronics, large components and many other industrial bonding applications. High Temperature, high performance adhesive with fast curing time. High toughness and strength with excellent resistance properties. Suitable for use before high temperature powder coating process 220°C @30 min. Extremely fast cure speed, 30 sec. Open time, general purpose adhesive. High adhesion to most metals and plastics. Horse Shoe bonding. Flexible adhesive with excellent low temperature properties, toughness and strength. High performance adhesive with fast curing time, 4-6 min. open time. Flexible with High toughness and strength with excellent resistance properties. Suitable for powder coating. High performance with medium cure speed, 17-22 min. open time. Flexible with high strength. Excellent adhesion to wide variety of plastic composites and metal surfaces. High performance with long cure speed, 30-35 min. open time. Flexible with high strength. Excellent adhesion to wide variety of plastic composites and metal surfaces. Ultra White colour adhesive with medium cure speed, 18-22 min. open time. Low shrinkage with excellent adhesion to wide variety of surfaces. UV stable, white colour adhesive for MARINE applications. Long cure speed, 40-45 open time. High toughness. High viscosity MARINE adhesive with long open time, 70-75 min. High viscosity MARINE adhesive with extra long open time, 90-120 min. Special adhesive for primerless metal bonding and fast cure speed, 4-6 min. open time. High toughness and strength with excellent resistance properties. Special adhesive for primerless metal bonding and medium cure speed, 12-18 min. open time. High toughness and strength with excellent resistance properties. Special adhesive for bonding difficult to bond low surface energy plastics such as Polupropylene, TPO, LDPE, HDPE, Teflon, PP, PE, PVC. Open time 2-3 min. and long cure speed 120-180min. 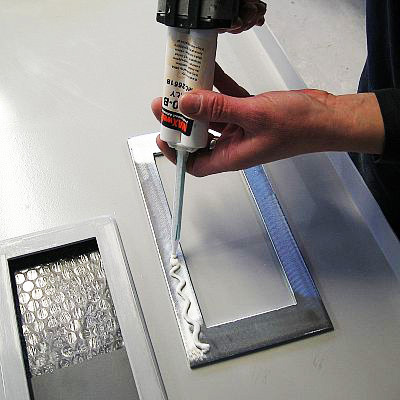 Primer for TPO, PP and tough to bond plasitics to use with MMA, PU and Epoxy adhesives. Dry cleaner and fast evaporating degreaser for surface preparation before bonding process. Compatible with plastics. Universal solvent cleaner, rapidly evaporating, cleaning and degreasing mechanical parts, electrical and electronic equipment. Very strong, non-harmful, precision degreaser for chemical resistant surfaces. May harm plastics and coatings. Vaery strong, nonflammable, dry solvent degreaser without chlorine based substances. The strongest, nonflammable solvent degreaser, evaporates instantly. Disolves plastics. "Safe, concentrated, multi-purpose cleaning agent and degreaser to use with water."